If you are planning to sell your gold in Chicago, and are wondering how it works, please watch this video which shows exactly how to set up a meeting with Cook County Gold buyers. Your Chicago gold buyer will take your call, set up a meeting, and come to you paying cash for gold! Click to watch a demo of a meeting. In this video you'll learn about the gold buying process at Cook County Gold Buyers. Mike can be relied on to provide the best gold selling experience for 5 reasons. Cook County Gold Buyer offers a superior gold buying experience. Some Web-based Cash for Gold companies have been exposed as paying as little as 5% of the actual gold value. Plus you have to send your metal away without knowing what they will pay and if they are being honest. Request that the buyer weighs your items in front of you, and you can get his offer without being required to sell. 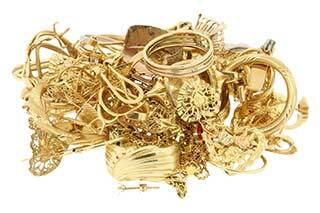 By following this simple guide, you can be sure you will receive a fair price for your gold and gold jewelry pieces! What is the price o gold now?